We still have a long ways to go until Black Friday 2019 deals on your favorite Keurig coffee machines arrive. But you can scroll down the page to check out the details from last year’s Black Friday sales to get an idea of what’s likely to come. Enjoy! Updated on Sunday November 18, 2018: If you’re looking to get a deal on new Keurig coffee maker this Thanksgiving weekend, then if this year is anything like what we saw last year, then you’ll have a lot to choose from. In fact, there were so many different models on sale that is was a bit overwhelming unless you know exactly which one you wanted. So what’s coming this year? Keurig K-Elite coffee maker on sale for $129.99 + Get $30 in Kohl’s Cash. Price after Kohl’s Cash savings is $99.99. It’s normally priced for $219.99 so you’re savings $100.00. Keurig Maxwell House K-cup 60-count value packs on sale for $19.99 per box. It’s a Kohl’s exclusive item. It’s normally priced for $24.99 per box. These offers goes live on Monday November 19, 2018 at kohls.com (online only). In stores you can shop the sale when doors open at 5:00PM on Thursday, Thanksgiving day (that’s on November 22, 2018). See the ad posted below for full details. Keurig K-Mini single-serve coffee maker on sale for $49.99 (that’s $30.00 off the regular price). It’s available in your choice of two colors, oasis blue or black. Keurig K-Elite single-serve coffee maker on sale for $129.99. Normally priced at $169.99. Keurig K-Elite on sale for $129.99, savings you $40.00. It also comes with a free $30.00 Best Buy gift card with purchase! Keurig K200 on sale for $69.99, saving you $70.00. You’ll find a number of deals at Amazon’s Black Friday sale this year. Whichever Keurig coffee machine you decide on, it’s worth comparing the sale prices to those available right now at Amazon. Keurig K90 Elite on sale for $169.99 + Free $20 Shopko Gift Card. Normally retails for $199.99. Keurig K50 Brewer on sale for $89.99 + Free $20 Shopko Gift Card. Normally retails for $109.99. Several 16 to 18 count Keurig K-cup packs on sale for $7.99 (normally $12.99). Variety of flavors available. Victor Allen’s 200-count coffee pods on sale for $36.99 (save $53). That comes out to be just $0.19 per serving! Keurig K-Elite Brewer on sale for $129.99 (originally $249.99). Keurig K55 Brewer on sale for $79.99. Belk’s Black Friday sale begins in-stores on Thursday, Thanksgiving day at 4:00PM in the afternoon. Stores stay open until 1:00AM and then reopen on Black Friday morning at 6:00AM (closing at 10:00PM). Limited quantities available — More details at belk.com. You’ll find the Keurig K-Classic K50 single-serve coffee maker featured on the front page of BJ’s Black Friday ad this year. It’s on sale for $49.99. You’ll also be able to pick up $7.00 off a box of Newman’s Own Organics Special Blend Extra Bold K-Cup Pods. Be sure to check out bjs.com because many of their Black Friday deals featured in their ad this year start exclusively online as early at November 16th. The remaining doorbuster deals are available on their site starting on Thanksgiving day, November 22nd and in stores when they open at 7:00AM on Friday, November 23, 2018. The Keurig Classic is on sale at Macy’s this year for $79.99 (regularly $144.99). It’s listed on the second page of their Black Friday ad. You can pick up this deal at macys.com all day on Thursday, Thanksgiving day. Free shipping is included this year on online web orders of $49 or more. Stores open at 5:00PM on Thanksgiving day and will remain open until 2:00AM. Then all locations reopen on Friday morning at 6:00AM with the sale running through 1:00PM in the early afternoon (or while supplies last). Staples has the Keurig K1500 featured on page 2 of their Black Friday ad this year. It’s on sale for $129.99 (that’s $50.00 off) and it’s an exclusive model only available at Staples. You can also save up to 30% on select assorted K-Cup boxes, but in-stores only. Shop Staples all day on Thursday, Thanksgiving day, at staples.com (except where indicated). In stores you can pick up this deal when doors open at 7:00AM on Friday. Offer only valid November 22—23, 2018 or while supplies last (whichever comes first!). What new Keurig K-Cup Coffee Brewer are you planning on getting this Black Friday weekend? Find any other promotions on Keurig that are worth sharing? Then let us know in the comments section (you’ll find the comments section located at the bottom of this page). Updated on Thursday, November 23, 2017: If a new Keurig coffee machine is on your Black Friday 2017 shopping list this year then you’ll have plenty of Black Friday deals to choose from (starting today!). 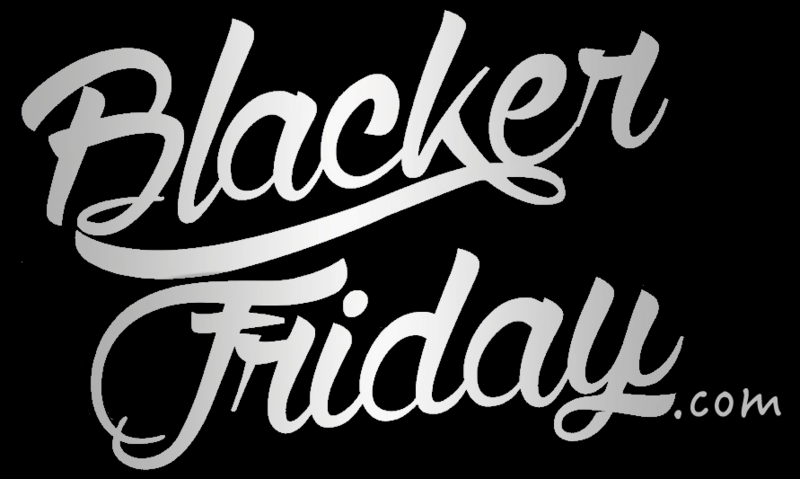 And of course you can count on us here at Blacker Friday to track them all! — Kohl’s: Kohl’s has two Keurig brewers featured in their 2017 Black Friday ad. Your first choice is the Keurig K55 on sale for $79.99. You’ll also get $15 in Kohl’s Cash on top of that to spend on whatever else you want in the store (learn more about Kohl’s Cash and how it works on our main Kohl’s page). Because this is a doorbuster deal, the offer launches at 12:01AM CT at on their site or at 5:00PM on Thursday, Thanksgiving day, November 23, 2017. Your second choice is the is the Keurig K-Select coffee maker on sale for $99.99 (normally priced at $149.99). This model also comes with $15.00 worth of Kohl’s Cash. This deal goes live online on Monday, November 20th and in-stores at 5:00PM on Thursday, Thanksgiving day, November 23, 2017. — Target: Target is featuring the Keurig K-Select brewing system in matte while (an exclusive color only available at Target) in their Black Friday ad this year. It’s sale priced at $99.99 ($30.00 off) but also comes with a $30.00 store gift card. And while you’re there you can pick up select 16 and 18-count boxes of Keurig-brewed K-cup pods for just $8.00/box. Sale prices valid from Nov. 23–25, or while supplies last. Shop the sale online or in stores. Free shipping for all online orders. Stores open from 6:00PM to Midnight on Thursday, Thanksgiving Day (Nov. 23, 2017). Then they reopen at 6:00AM on Friday (Nov. 24, 2017). — JC Penney: On page 5 of JC Penney’s Black Friday 2017 ad, right next to the KitchenAid mixers and Ninja blenders, you’ll find the Keurig K55 Brewer on sale for $59.99 after $20.00 mail-in rebate. It normally retails for $140.00. The deal begins Thanksgiving day (that’s November 23, 2017 this year) both online and in stores (store opening times this year vary by location). — Macy’s: Among the Nespresso’s and De’Longhi coffee and expresso machines found on page two of Macy’s Black Friday ad this year, you’ll also see the Keurig Plus Series K250 coffee maker on sale for $99.99. It comes with a $15.00 mail-in rebate as well! Shop the sale all day online Thursday, Thanksgiving day and in-stores beginning at 5:00PM (that’s on Nov. 23rd). — Bed, Bath and Beyond: From Nov 19—27 you’ll be able to pick up the Keurig K55 brewing system on sale at Bed, Bath and Beyond for $71.99 with coupon (while supplies last of course!). That’s a savings of $48.00 from the retail price of $119.99. However only the black model is included in the offer. — Best Buy: Best Buy has you choice of either the Keurig K50 Classic Series Coffeemaker on sale for $59.99 (that’s 50% off) or the Keurig K200 Single-Serve K-Cup Pod Coffee Maker on sale for $89.99 (that’s $30.00 off and it comes with a $20.00 Best Buy gift card). Be sure to also take a look at the 40-48 packs of K-Cup Pods on featured on Best Buy’s Black Friday ad for $19.99/box. You’ll be able to shop the sale beginning on Thursday, Thanksgiving day when doors open at 5:00PM (that’s on November 23, 2017). Available while supplies last — subject to sell out early. — Sam’s Club: Sam’s Club has the Keurig K200 featured in their Black Friday ad this year, but no price is listed so you’ll have to check online or in stores for the price once the deal goes live. However you’ll get free shipping with it if you buy it on their site. Shop the sale starting at 12:01AM EST online on Thanksgiving day (Thursday Nov. 23rd) or in-stores at 7:00AM on Black Friday (Nov. 24th). — Keurig Elete K55 Single Brewing System on sale for $49.99 (save $40). Available in either black or red. — Keurig 2.0 K575 Brewer on sale for $179.99. — Keurig K250 on sale for $99.99 (save $30). Also comes with a $20.00 coupon that you can use on a future purchase at Meijer. Limit two coupons per offer. — Keurig K-Select K80 on sale for $99.99 (save $30). Comes with a $20.00 coupon that you can use on a future purchase at Meijer. Limit two coupons per offer. Sale begins at 6:00AM on Thursday and lasts all day, Thanksgiving day (November 23, 2017). May sell out early — available only while supplies last. — True Value: You’ll be able to pick up the Keurig 2.0 K250 brewer on sale for $99.99. This model features 10 variable brew sizes, a 40-oz water reserve, and can brew 2-3/3-4/4-5 cups. The sale runs from November 15th through November 26th, 2017 in-stores and online, while supplies last. — Stage Stores: There are three Keurig coffee machines in Stage’s Black Friday ad this year, all featured as doorbuster deals. Choose from the Keurig K15 on sale for $49.98 after $50.00 instant rebate, the Keurig K55 on sale for $69.98 after $50.00 instant rebate, or the Keurig 250 Brewer on sale for $499.98 after $30.00 instant rebate. Offer available online and in-stores on Thanksgiving Day and Black Friday (Nov 23—24, 2017), while supplies last. — Shopko: You’ll be able to get the Keurig K200 Brewer, in your choice of three beautiful colors, on sale for $89.99 at Shopko’s Black Friday sale this year. That’s $40.00 off the list price of $129.99. Plus it comes with a free $20.00 Shopko store gift card. The sale begins on Wednesday, November 22, 2017, at their website. In stores it will be available starting at 4:00PM when stores open on Thanksgiving day, November 23, 2017. — BJ’s Wholesale Club: BJ’s is offering $40.00 off their regular price on the Keurig K-Select B Coffee Maker bundle. It includes a pack of K-Cups to get you started. No final sale price is listed in the ad so you’ll have to see in-store what they go for. Remember, BJ’s Wholesale Club requires shoppers to be members in order to shop in their stores (similar to Costco). The offer is valid beginning Friday November 17, 2017 and will end on Monday November 27, 2017 (that’s Cyber Monday!). While supplies last. They will be closed on Thanksgiving day. — Blain’s Farm & Fleet: You’ll see the Keurig K250 2.0 on sale for $99.99 in Blain’s Farm & Fleet Black Friday ad this year. It also comes with a $15 store gift card with purchase. The sale begins in stores on Black Friday, November 24th, at 6:00AM in morning. Available while supplies last. — Costco: Costco doesn’t have any featured Keurig deals in their Black Friday ad over Thanksgiving weekend, but they do have a pre-Black Friday deal available from November 9—16, 2017. It’s for $25.00 off on the Keurig K525C Single Serve Brewer. It comes with 15 K-Cups, a My K-Cup reusable filter, and water filter. Just remember that you’ll need to be a current Costco Wholesale club card holder in order to shop at your local Costco store. — Fred Meyer: About half-way into Fred Meyer’s Black Friday 2017 ad you’ll find the Keurig K200 on sale for $89.99. That’s $40.00 off the retail price. It also comes with a free $10.00 Fred Meyer store gift card. The sale begins at 5:00AM on Black Friday (November 24, 2017) and the offer will last all day, or while supplies last. — Bon-Ton: Pick up either the Keurig K80 or the K250 brewer at Bon-Ton’s Black Friday sale for $99.97/each this year. You’ll also get a $25 promotional gift card along with your purchase. Shop in-stores starting at 11:00AM on Thanksgiving day (Nov 23) or all day online (more colors available online). The sale ends on Friday at 3:00PM (Nov. 24). — Mills Fleet Farm: Right next to the Ninja blenders in Mills Fleet Farm Black Friday ad this year you’ll find the Keurig K55 brewer. It’s on sale for $84.99 which is $35.00 off (the list price is $119.99). The sale begins at 6:00AM in-stores on Black Friday (Nov. 24, 2017). Available while supplies last. — Overstock: The Keurig DeskPro coffee maker is featured on page 9 in Overstock’s Black Friday 2017 flyer. It’s sale priced at $66.99 — That’s 27% off their list price. We just don’t know the exact start and end dates for the sale. — AAFES: You’ll find the Keurig K200 in AAFES’s Black Friday 2017 ad. It’s sale priced at $79.95 and comes with a free $15 Exchange gift card with purchase. Offer valid only on Black Friday, Nov. 24, 2017. Just note that only active-duty military, reserve, National Guard, select U.S. civilian Department of Defense/State employees, and their respective retirees will be able to shop at AAFES. — Navy Exchange: Two Keurig coffee machine are listed in Navy Exchange’s Black Friday flyer this year. Choose from the K80 that’s on sale for $84.99 or the K50 that’s on sale for $79.99. Both deals are valid Thursday, Thanksgiving day, through Saturday (Nov. 23—25, 2017) or while supplies last. Stores closed on Thanksgiving day but will be open on Black Friday at 5:00AM. Just keep in mind that similar to AAFES, only active-duty military, reserve, and National Guard employees will be able to shop at NEX. If we come across any more deals on Keurig we’ll update this page with the details so check back soon. Updated November 18, 2016: So you’re dreaming of a new coffee machine? Or maybe you want to replace that old one you now have and upgrade to a shiny new Keurig K-cup brewer system? If it’s on your Christmas shopping list this year then Thanksgiving weekend will be the best time to pick one up. Get ready for another round of great deals on new Keurig coffee makers that span from the most basic models to high-end digital expresso machines. – Kohl’s: Kohl’s has two brewers featured in their Black Friday ad. Choose from either the Keurig K55 brewer that’s on sale for $89.99 (normally $139.99) or the Keurig K250 brewer that’s on sale for $99.99 (normally $149.99). Both will also earn you an extra $15.00 in Kohl’s Cash. Be sure also see the deals on K-Cups. Select varieties of 16-18 count packs are $8.99 (normally $14.99) and 72 count packs are $24.99 (normally $44.99). Stores open at 6:00PM on Thanksgiving day (Nov 24, 2016) but many of the deals will be available online early starting Monday, November 21st. Keurig K55 Brewer in black or red on sale for $89.99. Keurig 2.0 K250 Compact Brewer on sale for $99.99 (normally $175). It includes 4 K-Cup pods, water filter handle, and two filters. They are also advertising an old-school coffee maker made by Mr. Coffee for just $19.99. Be sure to also see the Cuisinart Grind & Brew coffee maker on sale for $59.99. JC Penney’s Back Friday sale goes live when their doors open at 2:00PM on Thanksgiving day (November 24th, 2016) and will last through 5:00PM on Friday (you can forget about your turkey dinner). Just remember that many of their most popular items will sell out fast. – Target: Target has two featured Keurig coffee brewers this year, each that also earn you a free $15.00 Target store gift card with purchase. Your first choice in the K50 single-serve brewer on sale for $79.99 (normally $109.99). Your second choice is the K200 brewer on sale for $89.99 (normally $119.99). The sale begins first thing in the morning on Wednesday November 23rd and runs through Thanksgiving day on November 24th, 2016. – Best Buy: Choose from either the Keurig K200 on sale for $89.99 ($30.00 off) or the Keurig K50 on sale for $79.99 ($30.00 off) and you’ll get a $15.00 Best Buy gift card free with your purchase. It’s also a good time to stock up on K-Cup pods for the winter as assorted varieties of 40 to 48-count boxes are on sale for just $19.99/each. Plus, if you’re planning on buying two or more major appliances totaling $2,000 or more (like a new washer and dryer), then you you may qualify for a free Keurig K525 coffee brewer (see store for details). The sale begins first thing in the morning online on November 24th, Thanksgiving day, and in-stores when they open in the afternoon at 5:00PM. – Bed, Bath & Beyond: Just like most of the other big box stores, Bed, Bath & Beyond too is having a sale on the two most popular Keurig K-Cup brewers. Choose from either the Keurig 2.0 K250 on sale for $99.99 or K55 Elite on sale for $89.99. The sale starts online on Thursday 11/24 and Friday 11/25 with the sale prices valid through Cyber Monday 11/28/2016. – Bon-Ton: You’ll have two Keurig brewers to choose from this year at Bon-Ton! The first is the K55 model on sale for $89.87 (normally $200.00). The second is the K250 model on sale for $99.97 (normally $217.00). Plus, either machine will earn you a free $25.00 promotion in-store gift card! You’ll be able to shop the sale all day on Thanksgiving Day either at bonton.com or when stores open at 5:00PM (while supplies last). – Macy’s: We only spotted one Keurig featured in Macy’s doorbuster flyer but that doesn’t mean that others are not available on sale in stores. The one that are advertising this year is the Keurig Elite K55 on sale for $89.99 after $15.00 mail-in rebate (normally priced at $174.99). Macy’s will launch their doorbuster deals on 5:00PM on Thursday, Nov. 24, (Thanksgiving day) when stores open (prices valid through 1:00AM), but it should also be available online. Then the sale continues Friday morning from 8:00AM to 1:00PM, then the price juste to $107.99. Of course the offer is available only while supplies last (no rain-checks will be given). – Staples: There are two Keurig’s featured at Staples’ Black Friday sale this year. The first choice is the K200 model brewer on sale for $89.99, which also qualifies for $15.00 Staples gift card with purchase after rebate. Your second choice is the K155 brewer that’s on sale for $199.99 but which qualifies for a larger $45.00 Staples gift card with purchase after rebate. The sale starts Thanksgiving day online and 6:00AM on Friday morning at your local Staples store. – Belk: Just like everyone else, Belk also has the Keurig K55 Brewer on sale for $89.99 for Black Friday. Their sale starts Thanksgiving Day at 4:00PM (11/24) in-stores. Keurig K50 Brewer on sale for $69.99, plus get a $10.00 store gift card with purchase. Keurig K200 Brewer 2.0 on sale for $79.99, plus get a $15.00 store gift card with purchase. Shopko’s Black Friday sale begins Wednesday November 23rd online at shopko.com and Thursday, Thanksgiving Day, November 24th in-stores at 4:00PM at opening. – Sam’s Club: They have the Keurig K55 Coffee Maker advertised in their Black Friday ad, but no price is listed (once we know the price we’ll update it here). The kit includes 4 K-cups and and 2 water filters. It will go on sale online-only at samsclub.com on Thanksgiving day (Nov 24, 2016) and Friday morning in-stores when they open at 7:00am. – BJ’s Wholesale Club: BJ’s is advertising the Keurig K55 Brewer as their “lowest price ever”. So how much is it? We’re not sure because they didn’t print the price in their ad. You’ll have to wait until the sale goes live to see it. The sale price will be live from November 18 – 28, 2016. The black and red “rhubarb” models will be available online at bjs.com but only the black one will be in stores. All stores will be closed on Thanksgiving day but will open early at 7:00AM on Black Friday. – Stage Stores: Stage is offering a doorbuster deal on the Keurig K55 brewer for $89.98 (normally priced at $119.98). Shop Thursday, Thanksgiving Day (11/24), starting from noon online. Stores open at 6:00AM on Friday. – Costco: Head on over to Costco on Friday morning to get $25.00 off on the Keurig K525C Single Serve brewer (you probably only need one machine but there’s a limit of 5 if you want to pick up a few of them to give as stocking stuffers). You’ll also be able to get $6.00 off the Green Mountain K-Cup Pods Variety Pack. It includes 72 pods in 6 different flavors. Offers available November 18-23, 2016. – hhgregg: There are probably more machines on sale, but hhgregg only has one Keurig doorbuster deal listed and that’s for the K55 Brewer that’s on sale for $89.99 (save $30.00). Model #119255KEU. Head on over to their website on Thanksgiving day (Thursday, Nov. 24, 2016) to get one or visit your nearest store on Black Friday morning when they open at 7:00AM (this is a limit one per customer as posted in the flyer, while supplies last). – AAFES/Shop My Exchange: We only spotted one Keurig in AAFES’ 2016 Black Friday flyer this year and that was the K50 model, item# 7773630, on sale for $89.95 (that’s $10.00 off their regular price). The sale price will be valid beginning at 4:00AM on Black Friday (Nov. 25, 2016). However to get it you will need have a current Military ID as only army and military employees can shop at AAFES. See store for more details and qualifications. – On sale at Target for $79.99 and get a $15.00 Target gift card with purchase. This deal will only be available only on Thursday, Thanksgiving day, November 26, 2015. Stores open at 6:00PM. – On sale at Best Buy for $79.99 and get a $15.00 Best Buy gift card with purchase. You’ll be able to pick up this deal starting early on Thursday morning online or in-stores at opening, 5:00PM. – On sale at Kohl’s for $89.99 and get $15.00 in Kohl’s Cash to use on a future purchase. It’s only available on Thursday, Thanksgiving day, November 26, 2015. All stores are opening their doors at 6:00PM local time. – On sale for $79.97 at Walmart. This looks to be an ongoing sale price ($30.00 off) and can either be ordered online or in-store. – On sale at Macy’s for $89.99 and get a $15 Macy’s gift card with your order. This deal will be live Thursday, Thanksgiving day, November 26, 2015 starting at 6:00PM and will be valid through Friday at 1:00PM. – On sale at JC Penny for $89.99 but you’ll qualify for a $15.00 mail-in rebate. The offer is only valid on purchases made between Thursday, November 26, 2015 at 3:00PM and Friday November 27, 2015 at 1:00PM. – On sale for $89.99 at Target and you’ll get a $15.00 Target gift card with your purchase. The offer will go live on Thursday, Thanksgiving day, November 26, 2015 at 6:00PM. – On sale for $89.99 at Kmart and you’ll also earn $15.00 back in store points rewards. The offer will run for an entire 3 days: November 26-28, 2015. – On sale at Kohl’s for $99.99 and you’ll earn $30 in Kohls Cash when buying it on Thursday, Thanksgiving day, November 26, 2015 after 6:00PM in stores. – On sale for $99.99 at JC Penny and you’ll be able to send in for a rebate of $15.00. This offer is available Thursday November 26, 2015 after 3:00PM up until Friday November 27, 2015 at 1:00PM. – On sale at Sears for $99.99 (no rebates or anything else offered that we know of at this time). Valid on Thursday November 26, 2015. – On sale for $174.00 at Sears but you’ll earn $25.00 in Sears store points. Valid starting on Thursday November 26, 2015 all the way through Saturday November 28, 2015. – Get one for free at Best Buy when you 2 or more major appliances (like a fridge, dish washer, or washing machine, or dryer) totaling altogether of $2000.00+. Offer only available on Thursday November 26, 2015 after 6:00PM in stores. – On sale right now for as low as $159.00 at both Amazon and Walmart. If you end up getting it at Amazon then you’ll earn up to 3% back if you buy it using your Amazon.com Rewards Visa Card. Keurig Helpful Links & More!